VPNs and proxy servers are used by people all over the world – both for protecting their identities from being discovered and for accessing geo-restricted content. Since both of these services can get this job done, people tend to believe they are essentially the same and speak of them interchangeably. However, there are a number of differences between the two services. Let’s have a look at each of them separately and then compare the two. A Virtual Private Network connects you to the internet through an alternative path from the one offered by your ISP (internet service provider). It encrypts all the traffic flow between the internet and your device. Furthermore, it prevents your ISP from monitoring your internet activity and collecting data about you. The only information visible to them is the fact that you are connected to a VPN server – nothing else. All other online data is encrypted with the VPN security protocol. NordVPN offers a number of other features for security and entertainment, such as the automatic kill switch, DNS leak resolver and SmartPlay for accessing hundreds of streaming services around the world. It is important to note that some VPN providers store information about user IP addresses, DNS requests and other details. In order to keep your activity online truly private, you need to choose a trustworthy VPN that does not log usage data. HTTP Proxy Servers – These cater only to webpages, i.e. traffic that begins with http:// or https://. They are useful for web surfing or accessing blocked sites. This is because there is no slowdown in the connection speed due to encryption. However, they only work for accessing websites and need to be configured separately for each browser. SOCKS Proxy Servers – These do not interpret network traffic at all, which makes them lower-level filtering proxies. Although they can handle all kinds of traffic, they are usually slower than HTTP proxy servers because they are more popular and often have higher load. VPNs encrypt all traffic between the internet and your system while proxy servers do not. VPNs are slower because of the encryption, while proxy servers are faster. VPNs are usually paid and the available free ones either have multiple limitations, or sell their users’ data. Many proxy servers available for free. Connection drops on VPNs are less frequent than on proxy servers. In many aspects, a VPN is superior to a proxy server. 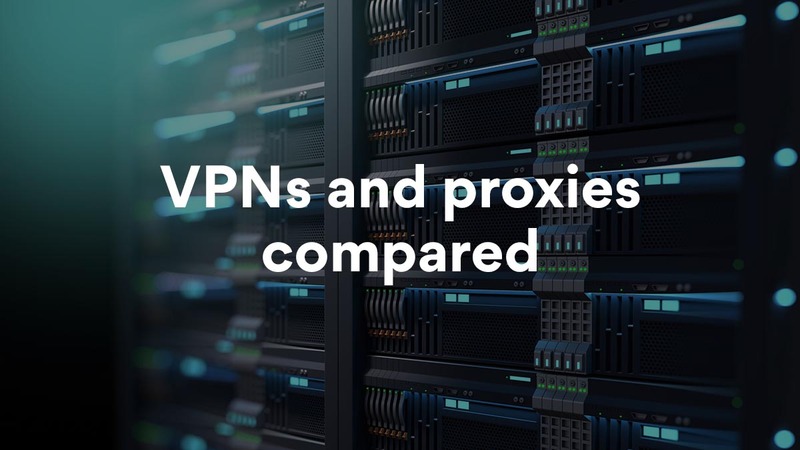 Both services allow users to hide their true IP address, but the added functionalities of a service such as NordVPN make it a more secure and private choice than the proxy server. Although it is more expensive than proxies, the extra benefits may well be worth the cost.